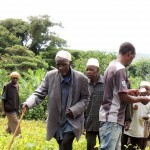 A farmer evaluates beans with NPK fertilizer applied. 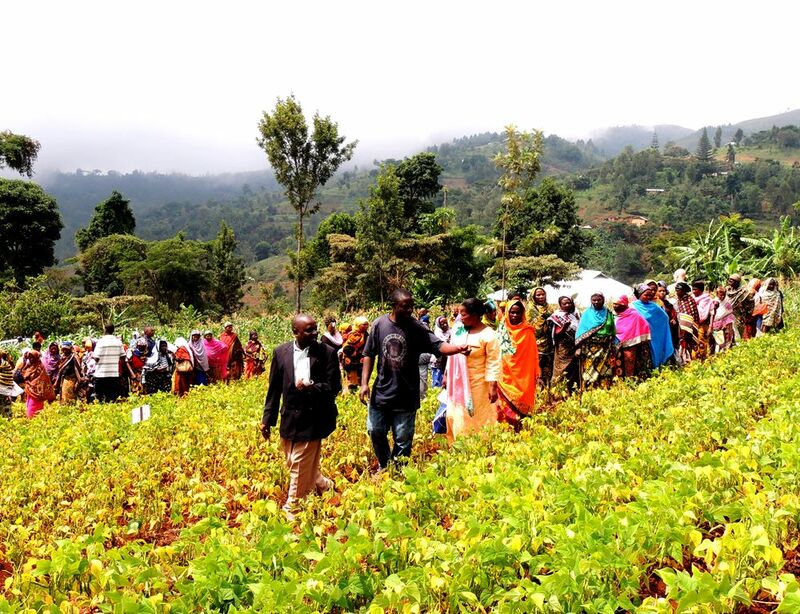 The N2Africa project recently held a field day for smallholder farmers in Kwemashai Village, Lushoto District, Tanga Region, in Tanzania. The event allowed farmers to compare the different legume farming treatments being tested by the project. 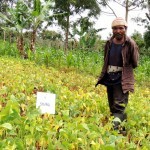 The farmers evaluated how well the beans grew when applied either Nitrogen, Phosphorous and Potassium (NPK) fertilizer, Monopotassium phosphate (PK) fertilizer or farm yard manure, when each of the fertilizers was mixed with the farmyard manure, and when no fertilizers whatsoever were used. Overall, the farmers were impressed with the performance of beans grown using a mixture of organic and inorganic fertilizers and many said they were ready to invest in inorganic fertilizers to boost crop production. Currently, only a few farmers use fertilizers, and it’s usually small quantities of farmyard manure. A section of the over 200 farmers who attended the Farmers field day at the project’s demo plot. 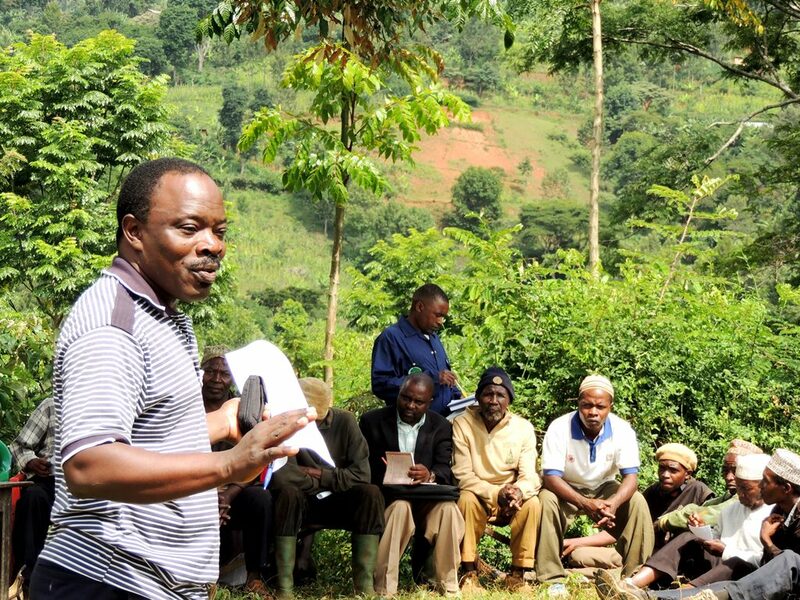 The one-day event held on 21 January 2015 and was attended by over 200 farmers drawn from surrounding villages and the project research team and partners including local government officials, local politicians, and agricultural extension officers. Honesmo Temba from Chakechake village said the use of fertilizers combined with manure shows promise of increasing the yield of beans which in turn will motivate farmers to grow the crop more and earn more income. Speaking during the field day, Professor Ken Giller from Wagenigen University and the N2Africa project leader, noted that poor soils lacking important minerals such as nitrogen, potassium, and phosphorous were a major constraint to farmers and one of the reasons behind the low yield in their fields. 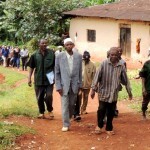 He said he was pleased with the enthusiasm and interest shown by the farmers on the technologies being demonstrated. “Though the N2Africa project has been working in Tanzania for only one and half years, it already looks promising just by the farmers’ interest in these technologies. We hope that they will now invest and start applying some of them,” he said. Tackling market issues Dr Frederick Baijukya, an Agronomist with IITA and the Country Coordinator for N2Africa in Tanzania, assured the farmers that the project will work hand-in-hand with them and the authorities to address the challenges they were facing in bean farming including lack of markets. 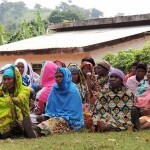 He further urged them to form associations to help in marketing their crops. He said the project’s next step will be to ensure that farmers have access to the promising technologies that they have selected. 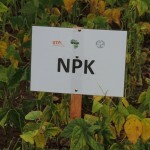 The N2Africa project, led by Wageningen University and implemented by the International Institute of Tropical Agricultural (IITA) and many other partners, encourages farmers to grow legumes for food and nutrition security, to increase their incomes as well as to improve soil health through nitrogen fixation. 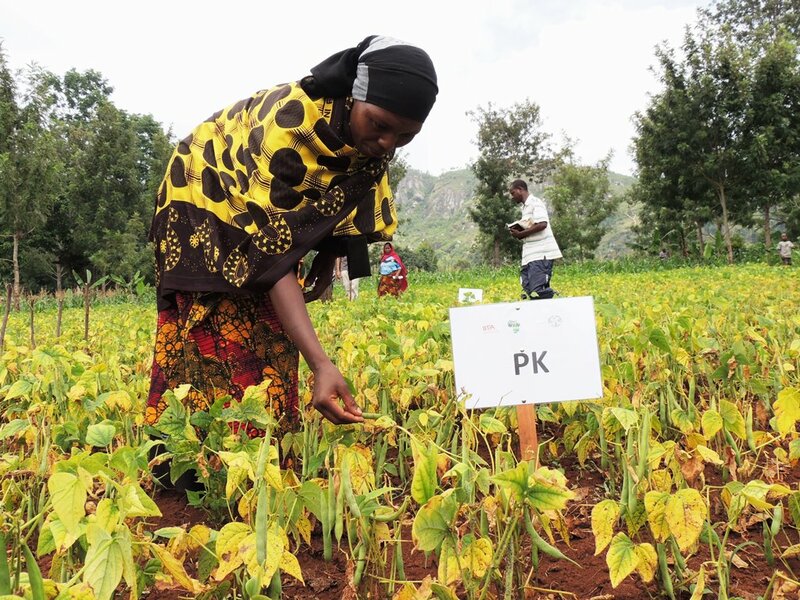 N2Africa promotes improved technologies to smallholder legume farmers that include the use of improved seeds, appropriate fertilizers, inoculants, and good agronomic practices to increase yield. 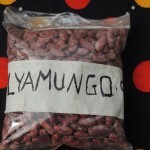 Lyamungu – the bean variety in the fields. 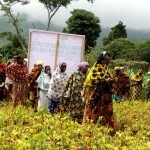 Women walk through the demo plot to see the different technologies being tested by the project. The event attracted both the old and the young. 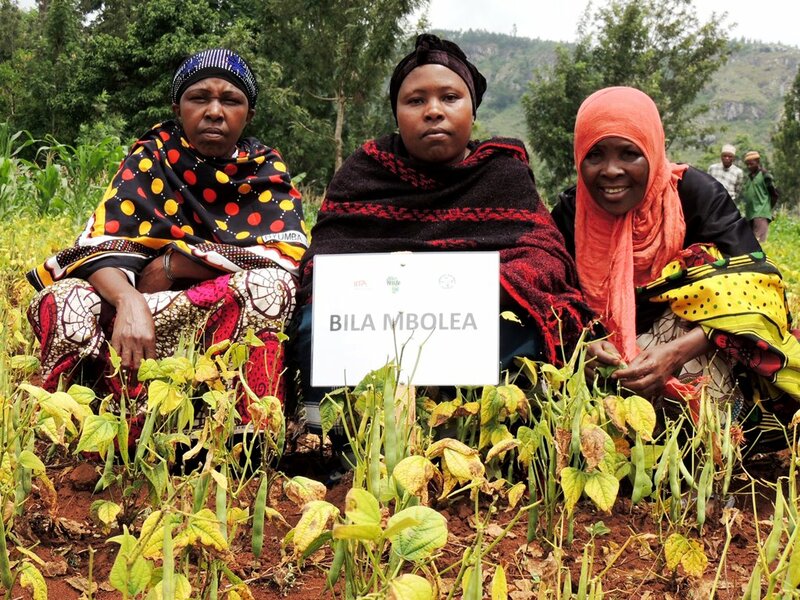 A farmers poses with some of the beans being grown under different conditions. 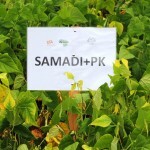 Beans that have been applied farmyard manure (Samadi) and PK. 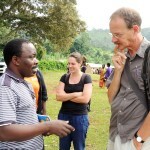 Prof Giller and Dr Baijukya in discussions during the event.